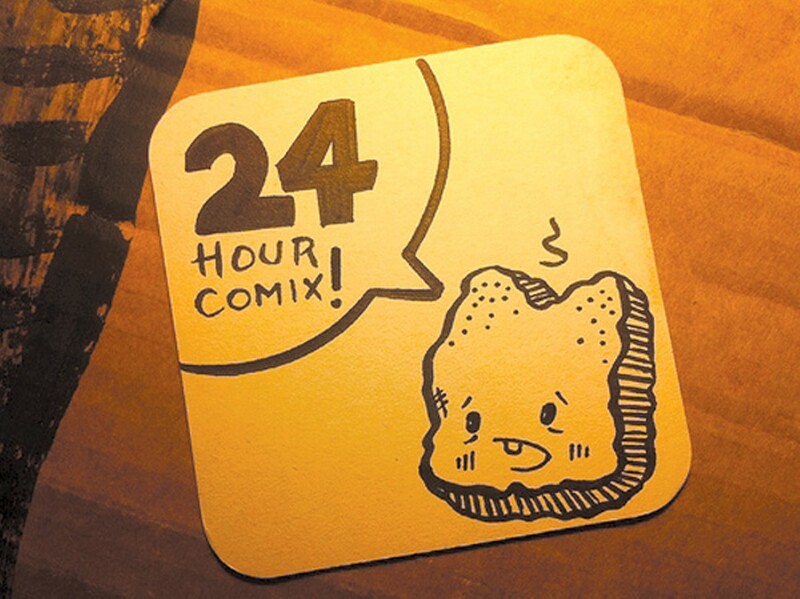 A group of local cartoonists aim to create 24-page comic books in 24 hours. One of Karl Dotter's creations. Anyone who's ever written a paper, undertaken a project, or tried to complete a task of any kind at the last minute knows all too well the double-edged sword of looming deadlines. Sometimes the high stakes and adrenaline rush make for nothing but crippling anxiety. At others, the lack of time for second-guessing allows us to create something even better than what we could have otherwise. As the local organizer of 24-Hour Comics Day, Sophie Yanow is banking on the latter. Yanow is one of hundreds of people organizing similar events all around the world as part of an international event wherein amateur and professional comic artists are challenged to create a 24-page comic book entirely from scratch over the course of a single day. In the East Bay, it'll go down at Comic Relief (2026 Shattuck Ave., Berkeley), where Yanow has assembled a group of twelve artists of varying experience levels and genres. Among them are Vincent Kukua, a Berkeley-based professional comic artist; Kane Lynch, another Berkeley-based artist who makes films and graphic novels; and Karl Dotter, who describes himself as a "toast cartoonist" and does, indeed, devote a large amount of his creative energies to toasted bread. Yanow, who is herself a comic artist and who will be participating in the event, traffics in winsome line drawings and surrealist themes — her last 24-Hour comic was what she calls a "trippy" story about a girl who meets a magical deer and follows it into another dimension. Dotter, however, will be participating in the event for the first time. This will actually be his second comic book, period, but Dotter's also a believer in the positive power of the almighty deadline. "With a tangible deadline, things happen," he said. The rules are simple, but strict: Cartoonists are forbidden from conceiving their book's plot beforehand, though they're encouraged to arrive knowing what page format and media they'd like to use. Then, as soon as the clock strikes 11 a.m. on Saturday, October 2, it's a fast and furious free-for-all, a kind of creative endurance test meets spectator sport. It's an experiment in quick-turnaround creativity, a chance to challenge traditional notions of what humans can accomplish in a limited amount of time — and create some great comics in the process. Though the store will close at night as usual, the artists will stay to work on their books up until the 11 a.m. deadline Sunday morning. Fans get to peer over artists' shoulders, ask questions, and gain a glimpse into the creative processes behind the work. What's more, the event provides a rare networking opportunity for amateur comic book artists, who typically work alone. Dotter said he's excited to meet comics fans, get feedback, and work alongside other artists. "Just having a group of people to make a comic book in the same room is exciting," he said. "It's almost like having a studio space." 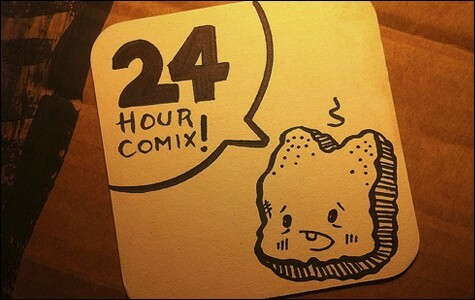 That's not to say that creating a 24-page comic book in 24 hours will be easy. Dotter's last comic book took him weeks, not hours, and Yanow said many cartoonists succumb to writer's block, or, more likely, sleep, before they finish. "It's the element of time management," she said. "You have to be lucid enough to know what happened in your story ten pages ago and be able to wrap it up." For his part, Dotter said he's worried about crashing, so he's coming armed with coffee, snacks, and a good pair of headphones. And lots of extra pencils. Comic Relief will be open from 11 a.m. to 10 p.m. on Saturday, Oct. 2. Free. ComicRelief.net or 510-843-5002.